The Alsace is the historic region of France where it borders Germany along the Rhine to the east and Switzerland (german-speaking) to the south, with the Vosges mountains occupying its western flank. This land has changed hands numerous times giving it a distinct regional feel. It’s French, but with definite German influences, which can be seen in the architecture of the historic cities and castles which sprout up here and there. There are as many reasons to visit the region as there are great hotels in Alsace. 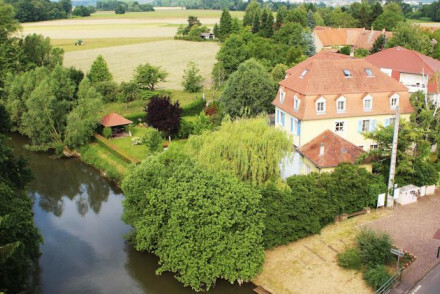 And our Guru’s recommendations for the best places to stay in Alsace range from stone farmhouses on the famous Alsace Wine Route, to Strasbourg city break hotels to remote châteaux with spectacular views. Strasbourg is a wonderfully charming city, with a UNESCO heritage-listed centre and plenty of cultural hotspots. Marlenheim is a quaint town filled with half-timbered, typically-European houses and plenty of good local vineyards to visit. 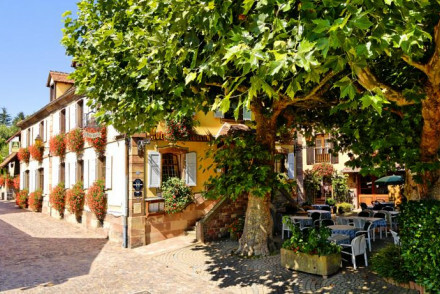 Medieval Obernai is another top spot if you're looking for a quiet retreat along the Alsace Wine Route. Colmar is a beautiful town which boasts colourful timber houses dotted along the riverside. An incredibly picturesque stay! Sélestat is known for its historic architecture and bustling markets. 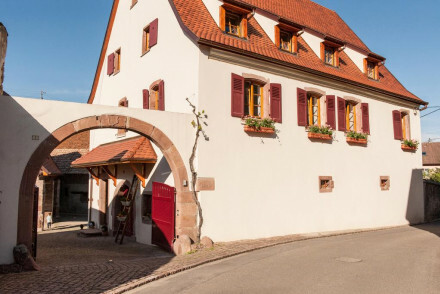 Good bases for the wine route are Colmar, Obernai, and Selestat - we'd recommend a night in each! Alsace is known for having some of Europe’s most beautiful cathedrals and churches. If you’re here for the food, which is another of Alsace’s great prides - it’s distinctly Gallic, but with some German influences - then you’ll find plenty to sample. Alsace is the smallest French region, but it has the greatest number of five-star chefs per capita. This is a great region to explore on a bike, especially if you’re particularly interested in the food and wine of the area. The Ballons des Voges Nature Park is a stunning slice of rural France that's a must-visit for nature-lovers. Our pick of the best places to stay in Alsace range from cheap and cheerful to an adults-only luxury retreat, and everything inbetween - there is certainly something for everyone whatever your taste or budget! Du Cote de Chez Anne - awash with Alsatian charm, Du Cote de Chez Anne is a delightful hotel on the outskirts of Strasbourg. The cosy, boutique rooms are individually decorated and reflect the rich hunting culture of Alsace. After a day of exploring the city, sample delicious regional cuisine in the hotel's restaurant. 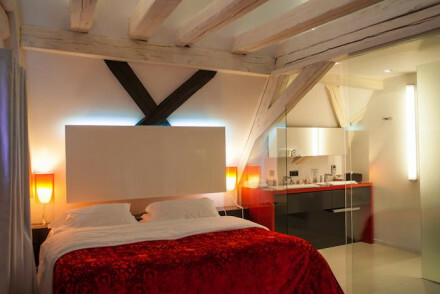 Le Bouclier d'Or - this glorious hotel is situated in the historic La Petite France district of Strasbourg. Rooms are notably antique chic with beautiful individually selected furniture and its spa is perfect for a relaxing detox. 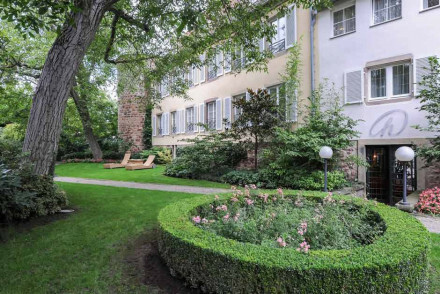 Beautifully positioned to explore the rich culture of the Alsatian capital. The Cour du Corbeau in Strasbourg is a Louis XV era building with classic modern interiors and plenty of romance to it. Rooms are light and airy and there’s a lively bar. The Regent Contades is an Art Nouveau townhouse in Strasbourg, close to a number of notable restaurants. Sophisticated, yet modern it’s also quite reasonably priced. 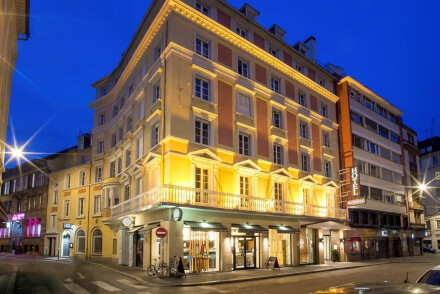 Hotel D - situated in central Strasbourg, Hotel D is a perfect base to explore the city from, with the local sites only a short walk away. Spacious, modern rooms and suites decorated in neutral palettes with splashes of colour and luxury accessories. Plus fitness centre & sauna. Ideal for business or pleasure. 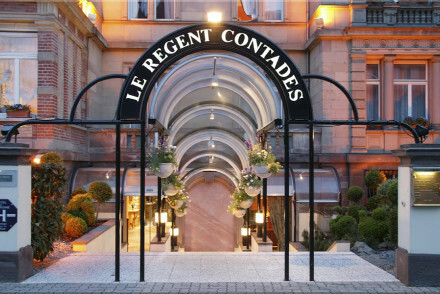 Regent Petite France is a fantastic hotel on the river with a state-of-the-art spa. Rooms and suites in classic contemporary style and all the mod cons. Excellent cuisine and a large choice of champagne, extensive pampering, and wonderful riverside surroundings. For the luxury traveller. Hotel Hannong is a contemporary hotel in historic city centre. Gorgeous rooms have hardwood floors, muted colour palettes and big bathrooms. Rooftop terrace and bar to enjoy an evening drink. Great breakfast and very good service. Stylish base to explore the city. 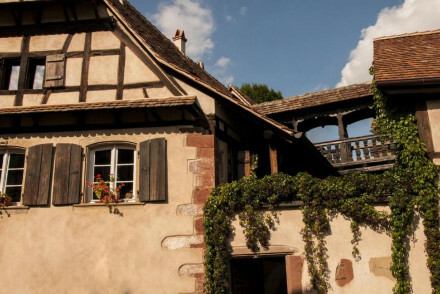 Le B Espace Suites in Riquewihr is a traditional timbered house in the heart of the wine regions with boutique suites and a luxurious, private cottage set amongst the vineyards. Great restaurant and great for walkers. Le Clos St Vincent is surrounded by vineyards and stunning views. Accommodation is in a choice of rooms and wood cabins, all with elegant furnishings, and there’s a restaurant, indoor pool and spa. 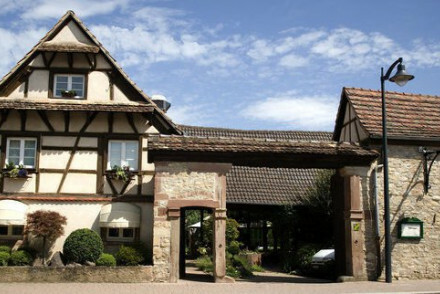 La Cour du Bailli is a quaint hotel with spa, indoor pool and courtyard restaurant in the heart of Alsace wine country. Bedrooms and suites are decorated in an authentic period Alsatian style. Atmospheric restaurant, plus spa with indoor pool and hot tub. A charming country hideaway. Auberge de la Poulciere is a lovely chalet in converted farmhouse. Contemporary rooms have beamed ceilings, wooden walls and suede furniture. Two sun terraces and library to relax in. Superb French menu in the restaurant-with-a-view. Family friendly, cosy and good value. Le Chambard, this hotel provides the utmost in comfort and mod-cons for its guests. The bedrooms are comfortable and chic and the indoor pool and spa offers the chance to unwind. Located in the charming village of Kaysersburg this is the perfect spot for local exploring, be it hiking, cycling or wine tasting. Le Grand Chalet et Spa is an adult only luxury retreat in the heart of wine country. Beautiful suites offer top notch accommodation with stunning views. Chef will individually prepare breakfast and evening meals to be enjoyed in your room or suite. A romantic haven for total relaxation with spa and hot tub. The 22 room L'Ami Fritz is a wonderful 18th Century stone house right in the middle of the wine regions with views of Mont Saint Odile. Their restaurant has a delicious reputation for Alsatian food too. 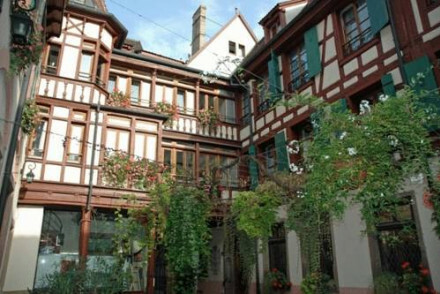 A La cour d'Alsace is an elegant hotel in Medieval town. Bedrooms feature beamed ceilings and antique style furniture. Indoor pool, sauna and spa treatments. Gardens and terraces. Superb regional cuisine, atmospheric bar. A charming stay in idyllic location. 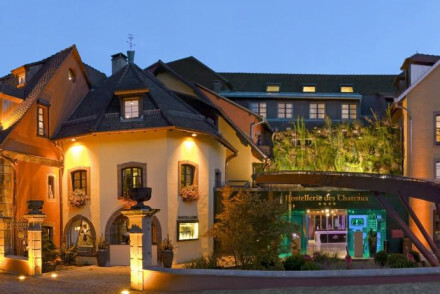 Hostellerie des chateaux et spa is a luxurious spa hotel on the Alsace wine route. Guestrooms are elegant with cream wallpapers and leather furniture. Indoor pool, spa and a grand total of six saunas means there are plenty of ways ro relax. Two restaurants with excellent Alsatian cuisine. Stylish relaxation. 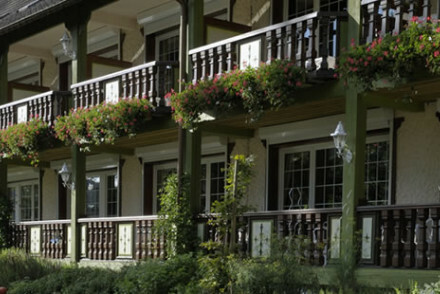 Le Parc Hotel - don't be fooled by the alpine exterior, this hotel is a blend of traditional and modern. The menu is a contemporary take on Alsatian dishes and continental breakfast is a lavish spread. Some rooms are classic country, others brazenly modern - all with views. There are two pools and spa. Hostellerie Abbaye de la Pommeraie is a former Cistercian Abbey, this charming historic hotel has fourteen elegantly decorated bedrooms and a gourmet restaurant. Just a short drive from many Alsace vineyards, and next to the stunning town of Sélestat, there is plenty of exploring to do nearby. A quiet country spot. 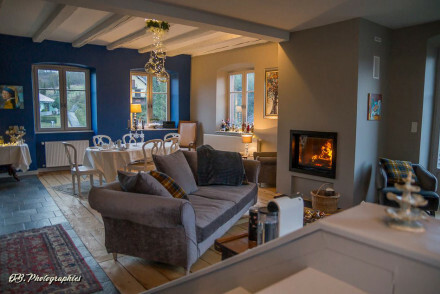 Alternatively you can stay at Les Pres d'Ondine, a charming guesthouse with a traditional, homely feel and a small spa with sauna and hot tub. 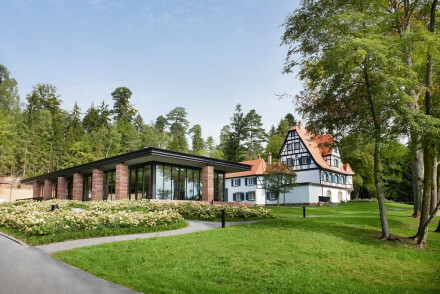 Or at the Auberge d'Illwald, which has 16 contemporary rooms, an outdoor pool with a sauna, gym and gardens, and is surrounded by peaceful woods. 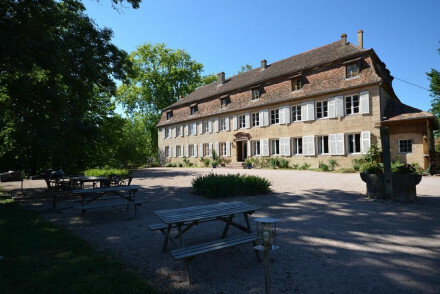 Chateau de Grunstein is a beautiful rural hotel set in a charming twelfth century chateau. Retaining its historical charm, the hotel is replete with ornate furniture, carpets and artwork. 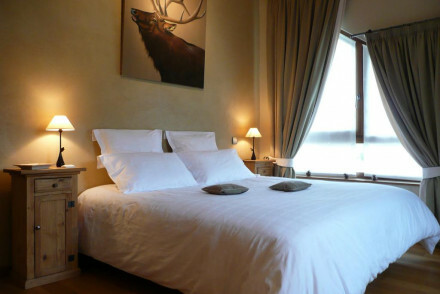 The spacious suites are comfortable and with some of them sleeping up to four, it's perfect for a group trip to Alsace. 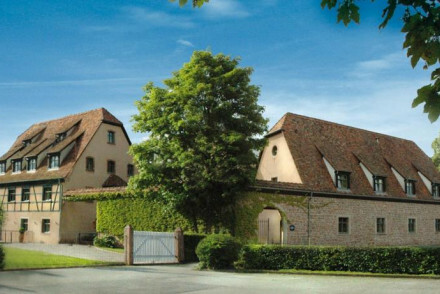 The Hôtel Le Moulin is in the northern corner of Alsace, near the Parc Naturel Régional des Vosges. It’s a quaint converted mill oozing rustic charm, with 12 elegant rooms and a good restaurant on site. 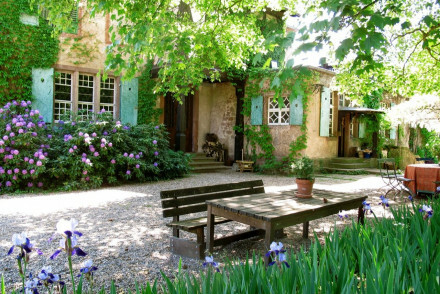 La Cour de Lise is a family-run 18th century B&B, located in rural Alsace. Beautifully decorated rooms retain original features with exposed beams, period furnishings and plush throws and cushions. Dine on gourmet dishes - the cuisine is something of a showstopper - in a converted barn. All this plus pool and gardens. Le Schaeferhof is a traditional country house with plenty of charm, located at the foot of the Grand Ballon mountain. 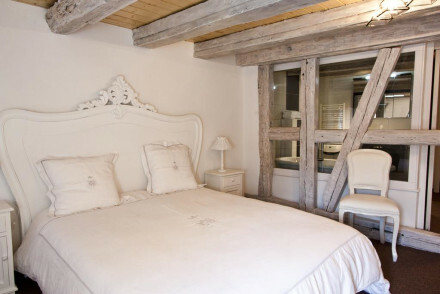 Traditional wooden beams adorn the bedrooms in addition to beautiful draped beds and fine furniture. A small spa is on offer for guests as well as a games room. A cosy hideaway. La Grange a Elise is a charming B&B just outside Mulhouse with five bedrooms, including a duplex which can sleep up to four. Traditional in style they’re well positioned for local sights and they do a fantastic Alsatian breakfast. 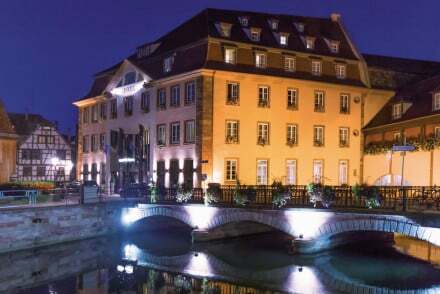 Chut Hotel Restaurant in Strasbourg is a Michelin recommended restaurant with eight charming rooms and suites. It’s also well located for the major sights and markets. Le Cerf provides unique accommodation, just 20 minutes outside Strasbourg. Rooms range from retro chic to minimalist modern; throughout its colourful, vibrant interiors make this a charming spot. But the real draw is the food, Michel Hussar's Alsatian cuisine is Michelin starred! 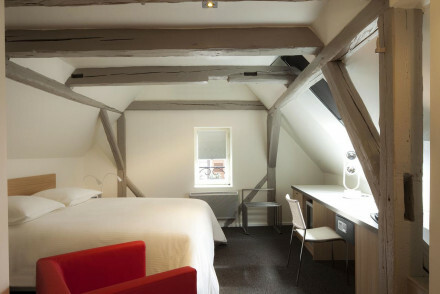 La Maison des Tetes in Colmar is a magical five star hotel with lovely heritage details like exposed beams and sloping roofs. 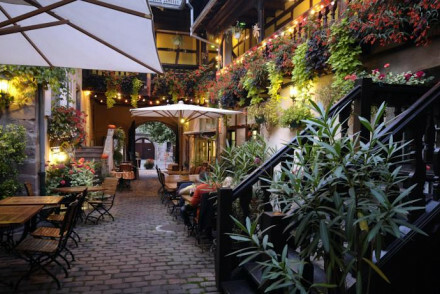 As well as looking romantic they also have a gastronomic restaurant and lovely courtyards and terraces. 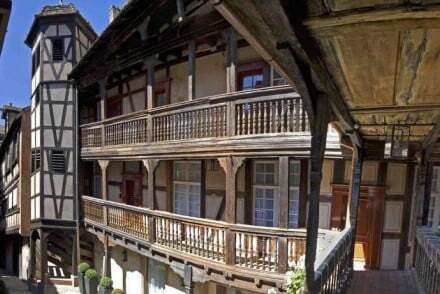 Hotel au Soldat de l'An Deux - known for its fantastic restaurant, this hotel also provides guests with ornately decorated bedrooms featuring parquet floors, canopied beds and antique furniture. Enjoy the quiet garden and terrace or spend the day pursuing outdoor activities nearby. A country retreat for foodies! Hotel K - contemporary luxury set in green parkland with glorious views. Dark wood interiors add warmth and a feeling of harmony with the outdoors. Bedrooms are stylish with feature bathtubs and contemporary furnishings. A remote countryside retreat, with gourmet restaurant next door. If you'd prefer a self-catering option this holiday, don't hesitate to visit our online partner, Booking.com, for a diverse selection of properties to suit holidays of all types. Fly to EuroAirport Basel Mulhouse Freiburg, located 129km (80 miles) from Strasbourg, with a wide selection of flights across Europe. Alternatively, catch a train to Alsace with extensive rail links across the region and further afield including to Germany and Switzerland. If you want to rent a car to explore the region, click here for prices and booking with our online partner Rental Cars. You're best off visiting in the summer months, from June to August, when the average daily temperature rises to around 20°C. Expand your search to include our recommendations in Champagne. 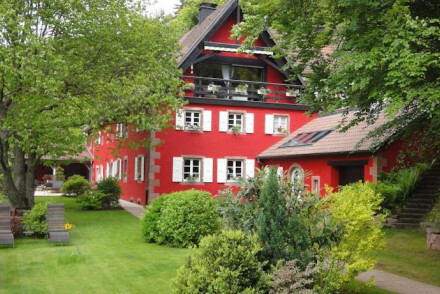 This friendly little country hotel in Alsace, is in the heart of the green landscapes of the Parc Naturel Régional des Ballons des Vosges. The hotel's 8 rooms are simple and comfortable. The owners prepare regional cuisine with ingredients sourced from the garden. Relaxed and great value. Trekking - Parc Naturel Régional des Ballons des Vosges. Les Pres d'Ondine is a charming guest house located on the quaint L'Ill river. Bedrooms are traditional in style with a homely feel. Enjoy meals on the shady veranda. There is a small spa with sauna and hot tub - facials and other treatments on offer. Fun, low key, local exploring. Back to Nature - A true country abode - complete with horse and cart. Charming and spacious rooms in Saint Hippolyte. All rooms come with a flatscreen, exposed beams, soft hues and the best have roll-top baths. Cottages can be rented out to larger groups. There is an in-house bar, restaurant and garden terrace. A spoiling stay. Country Escape - A charming rural property surrounded by countless vineyards and orchards. Sights nearby - Only a short drive from Le Haut Koenigsbourg, a Medieval castle. 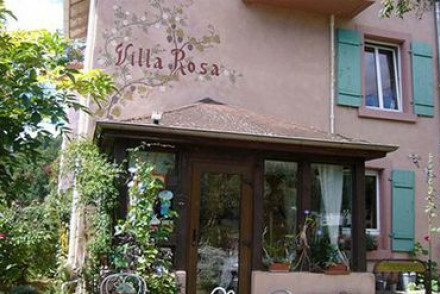 Elegant and traditionally-furnished rooms in a mountain village nearby Colmar. The five cosy rooms boast stunning views of forests, meadows or mountains. There is a restaurant that serves locally-sourced cuisine. A charming rural escape. Back to Nature - In a charming rural French location, amongst rolling green vineyards, multi-coloured meadows and sandstone mountains. Active Holiday - Close to the Alsace Wine Route, you can hire a bike and tour the villages, chapels and castles that line the way. Sights nearby - Nearby is a Roman road and Strasbourg Cathedral. Just south of Strasbourg in a small village on the banks of Rhine, a chic farmhouse conversion overlooking a beautiful château. Rooms are an eclectic mix of contemporary design & antiques. Borrow a bike and explore the Alsace wine routes. Enjoy gourmet local French cuisine at the restaurant. Quiet hotel within woods. Contemporary rooms have wooden walls, modern artworks, modern furniture and bathrooms. Outdoor pool, sauna, gym and gardens. Intimate restaurant and bar which is simple and excellent. A great stop off on a wine route, peaceful and lovely. Lovely chalet in converted farmhouse. Contemporary rooms have beamed ceilings, wooden walls and suede furniture. Two sun terraces and library to relax in. Superb French menu in the restaurant-with-a-view. Family friendly, cosy and good value. 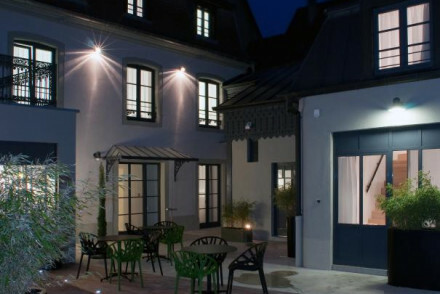 Le Pavillion 7 is a chic and intimate hotel nestled in the centre of Obernai with original art adorning its walls. All rooms are air-conditioned and have a minibar whilst room 704 has a roof terrace, sauna and fitness room. Restaurants serving the finest French cuisine are within walking distance. 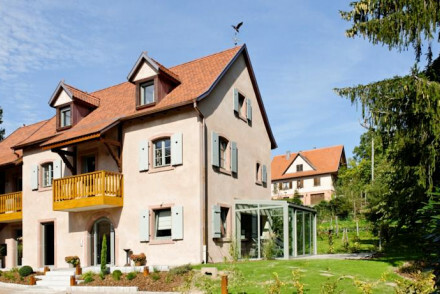 Renovated 17th century village house and B&B in the heart of Alsace. Rooms mix modern and old: exposed beams, minimalist decor and designer furniture. The atmospheric restaurant serves seasonal, locally-sourced meals. A charming stay. 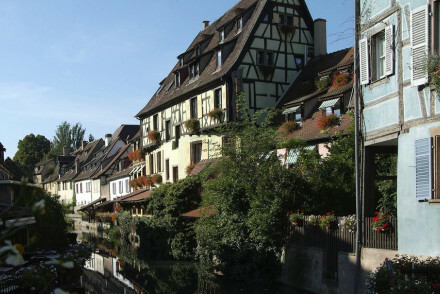 Local exploring - Colmar, the region's capital, is only nine miles away, where you can find local markets and museums. 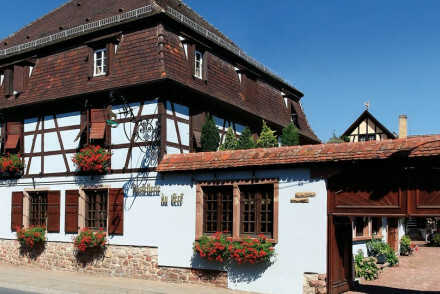 Foodies - Alsace is a region famous for its wine and Pfaffenheim is no exception, boasting many wineries. 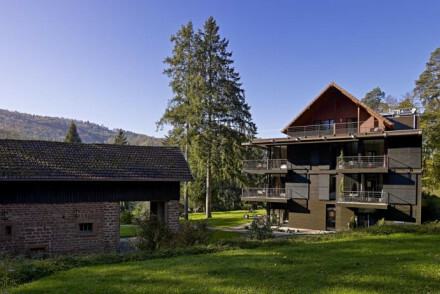 Back to Nature - The hotel lies in the jurisdiction of the Ballons des Vosges National Park. Quaint converted French Mill that oozes rustic charm and beauty. The twelve individually designed rooms and suites are elegant and understated with cool lighting and neutral hues. Le Jardin de Moulin, the on site restaurant offers classic French food. Explore the river gardens too! 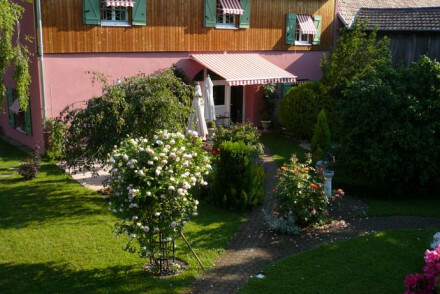 Beautifully situated farmhouse B&B surrounded by forest and a lovely garden. Four bedrooms with parquet floor and contemporary style furnishings. Cosy guest sitting room with fireplace and garden with terraces for sitting out. A luxury adults only retreat in the heart of Alsace. A charming B&B set in a stunning villa built in 1920. Rooms are bright and spacious and are decorated in a tasteful contemporary style. Guests can relax in the warm and inviting library or the old smoking room. The host serves a delicious breakfast and there are restaurants a short walk away. Local exploring - Discover Colmar, the Alsation capital knows as "Little Venice"
A delightful 18th Century stone house in the midst of the wine growing region. Views of Mont Saint Odile. Delicious Alsacienne seasonal food served in the cosy traditional interior or on the terrace in Ottrott-Le-Haut. Heated outdoor pool for relaxing after a day's exploring. A piece of heaven! Sights nearby - Ancient monastery dedicated to St Odile, patron saint of Alsace. Charming B&B just outside Mulhouse. Five bedrooms (including a duplex which can sleep up to four) are traditional in style and feature antique furniture and parquet flooring. Delicious Alsatian breakfasts with regional, home made pastries. Perfect for local exploring. 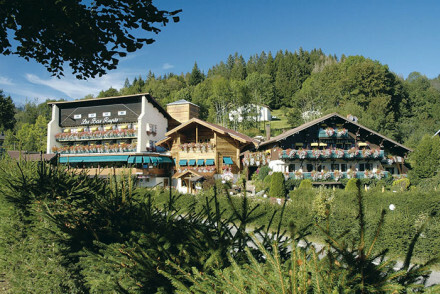 Don't be fooled by the alpine exterior, this hotel is a blend of traditional and modern. The menu is a contemporary take on Alsatian dishes and continental breakfast is a lavish spread. Some rooms are classic country, others brazenly modern - all with views. There are two pools and spa. Great walks - Take a walk up to Mont Sainte Odile Convent, a peaceful abode in this village setting. Sights nearby - The National Automobile Museum is an excellent day out, not just for pertrol heads! 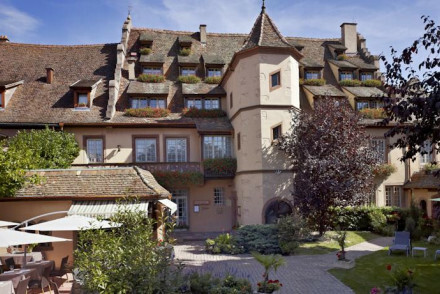 An 18th century former Benedictine abbey set in the heart of the Alsace wine route. 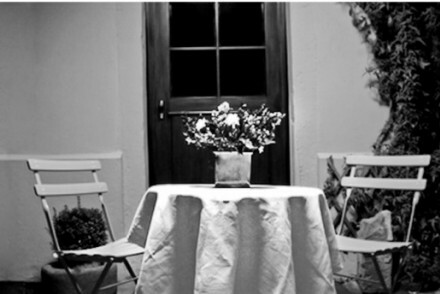 Offering just a room, a suit and a house all traditionally dressed and filled with antiques. Set in beautiful mature gardens and well located for exploring the region. Local exploring - Boasting a charming spot on the Alsace wine route. Sights nearby - Visit the Mont Sainte Odile Convent in Obernai. 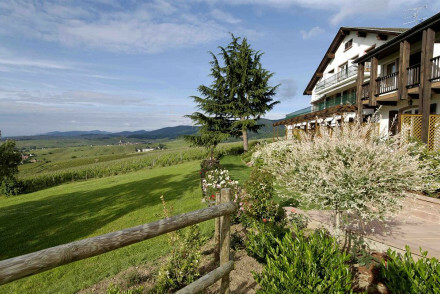 A romantic Four Star hotel set in the hills with valley views and vineyards around. Rooms and suites in the style of wood cabins have elegant furnishings, all the mod cons, and private balconies. Dinner served in the restaurant, indoor pool, and therapeutic spa facilities. A country escape. Views - Stunning valley views from all angles. Sights nearby - St. Ulrich Fortress, Centre de Reintroduction des Cigognes et des Loutres, Chateau du Haut-Koenigsbourg and Kayserberg Castle. 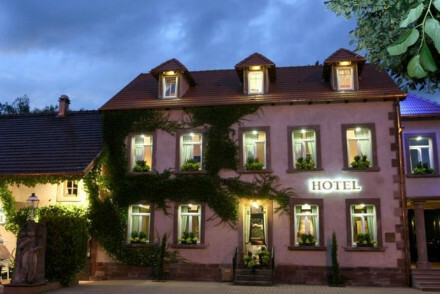 A fabulous Five Star hotel in an Alsatian town. Elegant rooms have exposed beams, sloped roofs, some with views across the courtyard. A gastronomic experience in the restaurant and a lovely shady terrace on which to enjoy a drink. A great choice for families or couples. Known for its fantastic restaurant, this hotel also provides guests with ornately decorated bedrooms featuring parquet floors, canopied beds and antique furniture. Enjoy the quiet garden and terrace or spend the day pursuing outdoor activities nearby. A country retreat for foodies! Foodies - The gourmet restaurant holds one Michelin Star. Try the chef's renowned breakfast with foie gras and truffle brouillade. 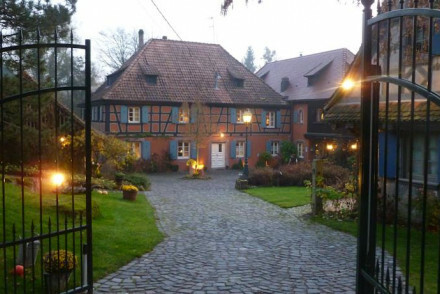 A small B&B offering rustic chic accommodation set along the Alsace wine route. 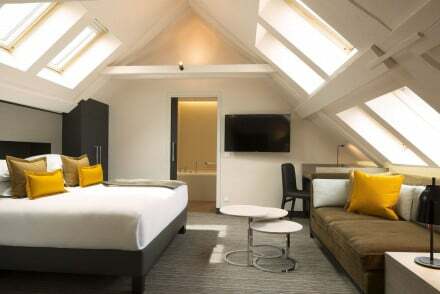 A handful of individually styled rooms feature exposed beams, wooden floors, crisp white linen and luxurious bathrooms. Indulgent continental breakfasts are served and there's plenty to explore in the surrounding area. Local exploring - Well positioned along the Alsace wine route and offering easy access to the region's attractions. Local markets - Visit the renowned Christmas markets at Colmar and Eguisheim. 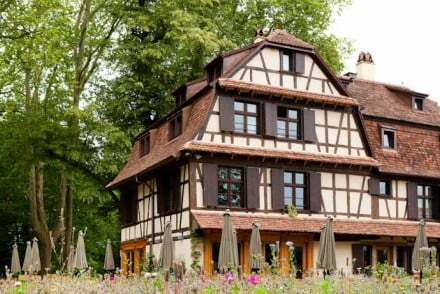 A charming 15th century half-timbered house set in beautiful parkland at the gates of the Alsace Wine Route. The five rooms are impeccably styled with polished wooden floors, free-standing baths and exposed beams. A delightful spot to explore the region from. Country Escape - A beautiful historical rural house set in picturesque countryside. 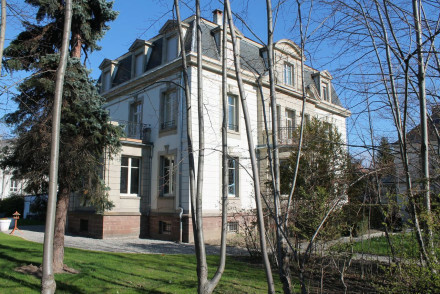 This charming building lies in Colmar's historical quarter. The rooms have an old-fashioned rustic feel, with exposed beams, classical artwork and ornate embroidery. The restaurant is renowned for its innovative approach to traditional gastronomy. A lovely couples' retreat. Sights nearby - Colmar's richly historic architecture is truly unique, check out the House of Heads and Pfister House for starters! A beautiful rural hotel set in a charming twelfth century chateau. Retaining it's historical charm, the hotel is replete with ornate furniture, carpets and artwork. The spacious suites are comfortable and with some of them sleeping up to four, it's perfect for a group trip to Alsace. Groups - With suites that sleep four, and The Wine road just a few minutes away, it's perfect for a group tour. 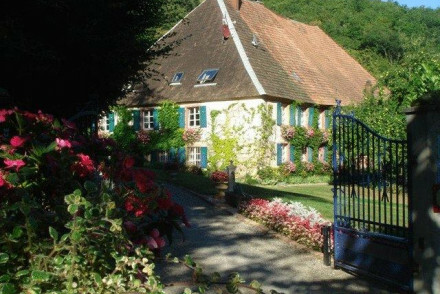 Country Escape - A lovely hideaway set in expansive forested grounds, in a quiet village steeped in Alsace's history. Sights nearby - Visit the picturesque Obernai, famed for it's beer and wine. Family-run 18th century B&B, located in rural Alsace. Beautifully decorated rooms retain original features with exposed beams, period furnishings and plush throws and cushions. Dine on gourmet dishes - the cuisine is something of a showstopper - in a converted barn. All this plus pool and gardens. Sights nearby - Visit Strasbourg for the day and the magnificent gothic cathedral. Great walks - Beautiful walking trails in the surrounding Alsace countryside. For the nature lovers. 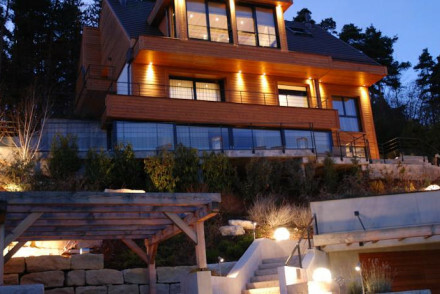 Mountain-chic accommodation with views of the Vosges forest. Period furniture and comfortable, elegant rooms.The hotel boasts a light-flooded conservatory dining room for hearty breakfasts. With an extensive luxury spa, the best for exploring this beautiful corner of France. Great walks - In winter, walk on snowshoes. Cooking classes - A wide range of cookery classes are available throughout the year. Spa - Wellness centre offering massage treatments, sauna and hammam. This hotel provides the utmost in comfort and mod-cons for its guests. The bedrooms are comfortable and chic and the indoor pool and spa offers the chance to unwind. Located in the charming village of Kaysersburg this is the perfect spot for local exploring, be it hiking, cycling or wine tasting. Spa - A range of treatments and massages on offer. 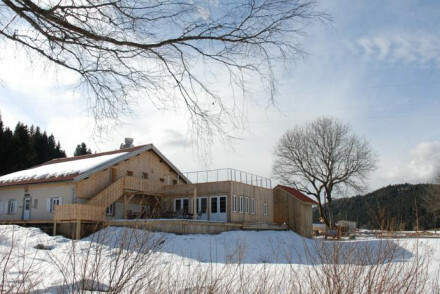 Charming chalet style accommodation in the Vosges Mountains. Bedrooms have wood panelling and private balconies. The restaurant serves traditional French cuisine. A wide variety of outdoor activities on offer nearby. Water sports on the lake, skiing and good hiking routes. A chic hotel in town centre. Large rooms feature ipod docks, original artworks and designer furniture, all with beautiful bathrooms. A sunny terrace to enjoy drinks or breakfast. Minutes from Colmar's "Little Venice". Cool, laid back and sophisticated. Elegant hotel in Medieval town. Bedrooms feature beamed ceilings and antique style furniture. Indoor pool, sauna and spa treatments. Gardens and terraces. Superb regional cuisine, atmospheric bar. A charming stay in idyllic location. A former Cistercian Abbey, this charming historic hotel has fourteen elegantly decorated bedrooms and a gourmet restaurant. Just a short drive from many Alsace vineyards, and next to the stunning town of Sélestat, there is plenty of exploring to do nearby. A quiet country spot. 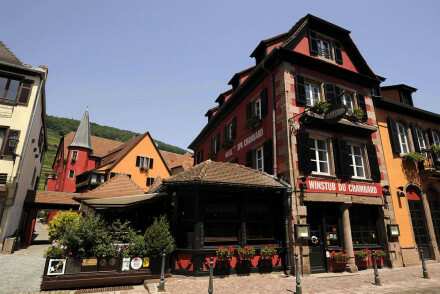 Local exploring - A great location in the heart of Alsace wine country make this an ideal base for exploring the area. 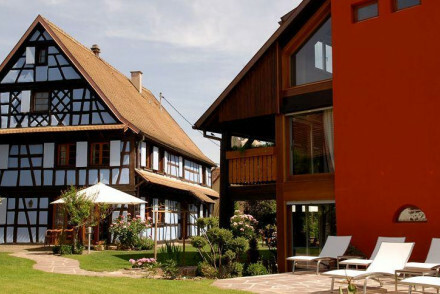 A traditional timbered house set in the heart of the Alsace wine regions. Boutique suites and one superbly luxurious cottage, set in the vineyards, are filled with eclectic decoration and traditional elements. The restaurant serves a variety of dishes in many different ways. Great for exploring. Wine tasting - Set in the heart of the famous Alsace wine route. Luxury - The hotel's cottage is particularly luxurious. The little pink house, nestled at the foot of Mont Saint Odile. Rooms juxtapose a contemporary finish with natural exposed wood and feature modern bathrooms with rainfall showers and huge baths. There is also a fabulous spa including hot tub and hammam. All this plus top drawer gastronomic dining. Local exploring - Ideally located for exploring Alsace's rich gastronomic culture, especially its famous wine and beer industries. Sights nearby - Visit the beautiful town of Obernia, famous for producing beer and wine. Rustic and warm rooms in the heart of Ribeauville. 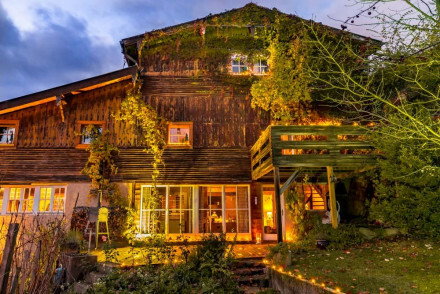 The former barn of a nunnery, this B&B is surrounded by vineyards and castles. Traditional rooms are atmospheric and warm with exposed beams, warm hues, pine furniture and sink-into beds. An historic property ideal for cosy rural breaks. Local exploring - Ribeauville is a city soaked in history: dominated by three castles, ruined walls and towers. Active Holiday - On the Alsace Wine Route, it is a region famed for its hiking and biking trails. Sights nearby - The Tower of Butchers in Ribeauville is a dark and looming castle well worth seeing. Contemporary luxury set in green parkland with glorious views. Dark wood interiors add warmth and a feeling of harmony with the outdoors. Bedrooms are stylish with feature bathtubs and contemporary furnishings. A remote countryside retreat, with gourmet restaurant next door. A traditional country house with plenty of charm, located at the foot of the Grand Ballon mountian. 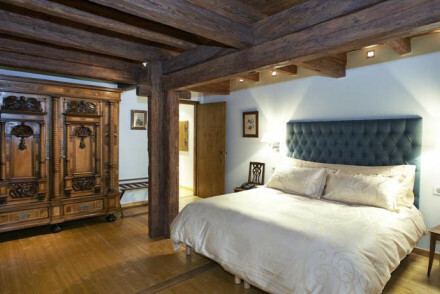 Traditional wooden beams adorn the bedrooms in addition to beautiful draped beds and fine furniture. A small spa is on offer for guests as well as a games room. A cosy hideaway. 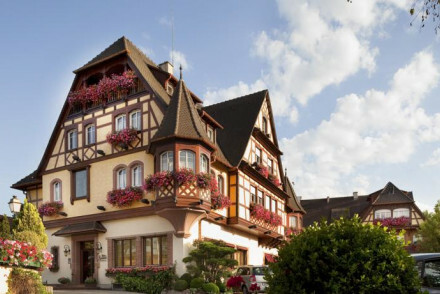 Luxurious spa hotel on the Alsace wine route. Guestrooms are elegant with cream wallpapers and leather furniture. Indoor pool, spa and a grand total of six saunas means there are plenty of ways ro relax. Two restaurants with excellent Alsatian cuisine. Stylish relaxation. Once the home of art deco glass designer René Lalique, the villa is now a 5-star hotel set amid dense forest. The six luxurious white-walled suites are finished with marble and crystal. The hotel's crown jewel, however, is its michelin two-star restaurant housed in a modern, glass-walled building. Back to Nature - In the heart of Northern Vosges Regional Nature Park- perfect location for nature-lovers exploring by foot, horseback or bike! Adult only luxury retreat in the heart of wine country. Beautiful suites offer top notch accommodation with stunning views. Chef will individually prepare breakfast and evening meals to be enjoyed in your room or suite. A romantic haven for total relaxation with spa and hot tub. Wine tasting - Located in the heart of Alsace wine country and ideally located for sampling the best vintages. Views - Stunning views over the Alsace plain, Bernese Alps and Black Forest.